No shortage of professional competition at the recent Kansas Championship Ranch Rodeo in Medicine Lodge. The rodeo again featured true lifelike events which working cowboys and cowgirls do every day in their chosen profession. Haywire Cattle Company of El Dorado took home the championship title. Team members are Clint Bohnen; Andy, Callie and Randy Jones; Jake and Justin Justin Peterson; and Luke Rush. 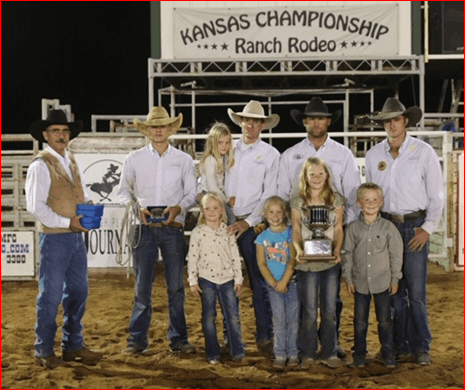 Haywire Cattle Company of El Dorado won the recent Kansas Championship Ranch Rodeo at Medicine Lodge. The top team also won both the stray gathering and team penning events. Claiming the state title qualifies Haywire Cattle Company for the World Championship Ranch Rodeo, November 8-11, in Amarillo, Texas. Several other teams representing Kansas ranches will also be there after winning Working Ranch Cowboys Association rodeos around the state. Second place at the state championship rodeo went to the team representing Eight Over Quarter Circle and Stinson Ranch. From Abilene, Minneapolis and Osage City, team members are Kolby Boos, Josh Breeding, Ty Bryant, Zack Parkin and Austin Rathbun. Lonesome Pine Ranch of Cedar Point claimed third in the rodeo standings. Bud, Frank, Makenzie and Troy Higgs joined with Travis Duncan and Paul Osgood to compose the team. Fourth place was a tie between Beachner Brothers Livestock of Erie and Snyder & Woolfolk from Protection and Wilmore. Caden, Calvin, Cody and Gina Kendall joined with Ty Swiler and Kris Vitt for the Beachner team. They also won the wild cow milking and calf branding events. Riding for Snyder & Woolfolk were Chayder, Colby, Toby and Tray Snyder with Frank Morton and Tyler Woolfolk. 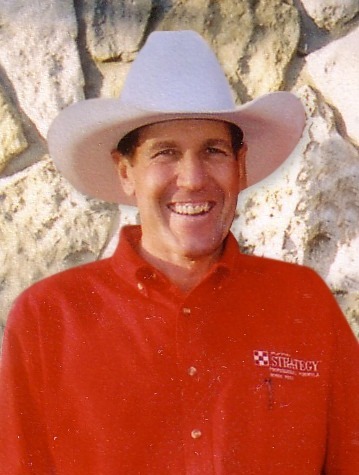 Frank Morton represented the team to be first in the ranch bronc riding event and was also named runner-up top hand at the rodeo. Kolby Stock riding with Stock & Felt Ranches of Redfield was honored as the Top Hand. Kolby Stock riding for the Stock & Felt Ranches at Redfield was named the Top Hand at the recent Kansas Championship Ranch Rodeo in Medicine Lodge. TRR Peppy Kitty, ridden by Toby Snyder of the Snyder Ranch, was honored as the Top Horse. Juice, owned and ridden by Calvin Kendall, was runner-up for the best horse honors. Toby Snyder of the Snyder Ranch accepted the Top Horse trophy for TRR Peppy Kitty at the recent Kansas Championship Ranch Rodeo in Medicine Lodge.